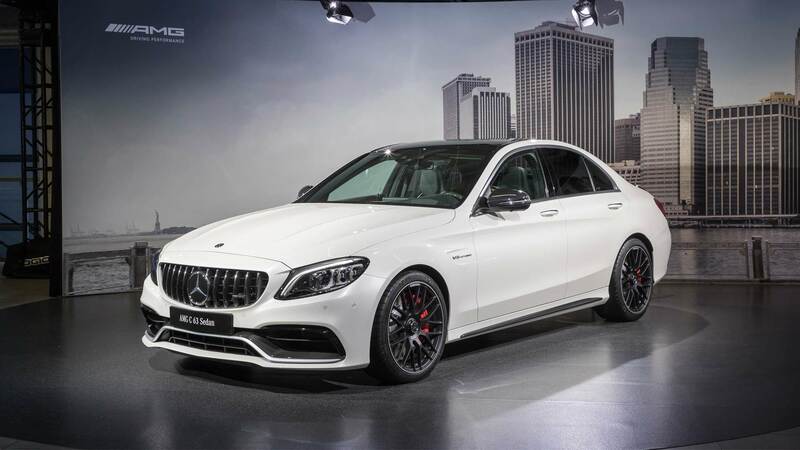 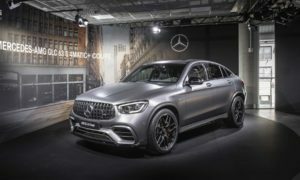 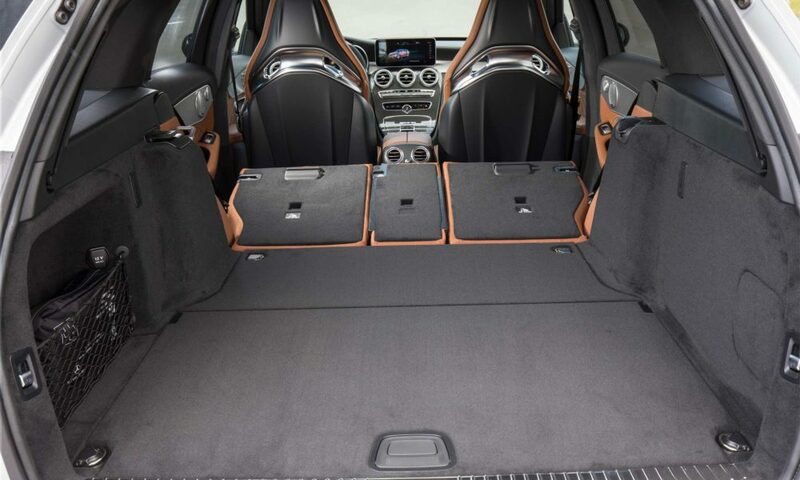 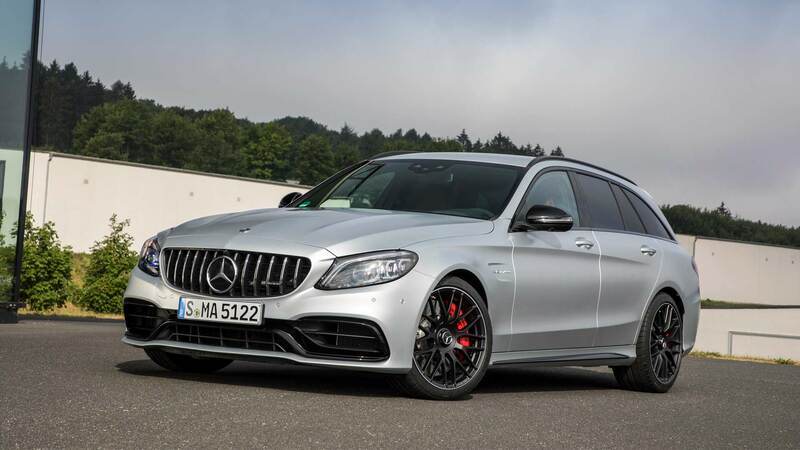 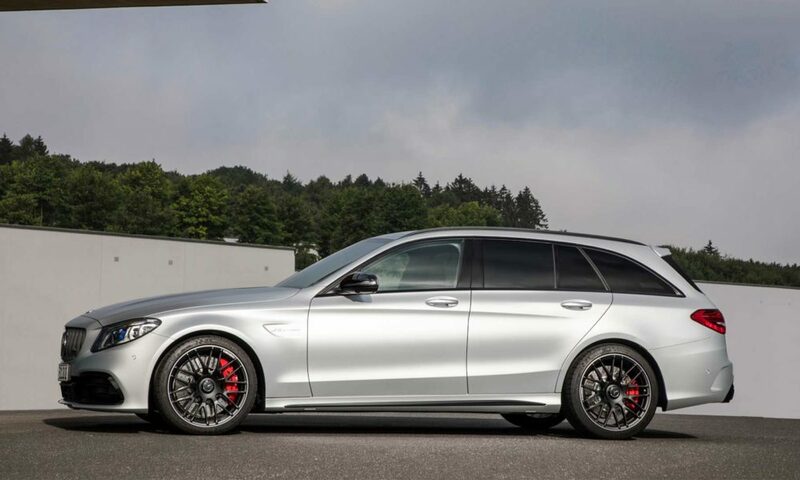 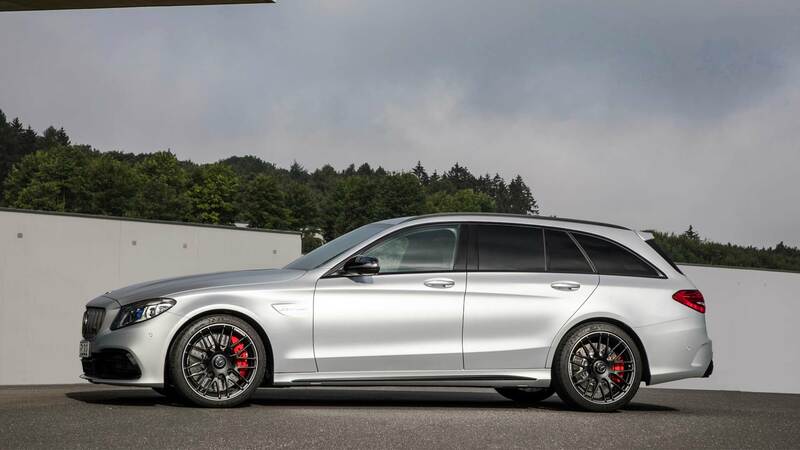 Mercedes-AMG recently conducted media test drives for the 2019 C 63 S range which included the Sedan, Coupe, Cabriolet and the Estate body styles. 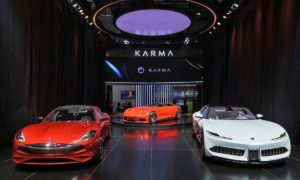 Checkout the official photos. Interiors get the new AMG performance steering wheel which has integrated AMG Traction Control knob with in-built display. 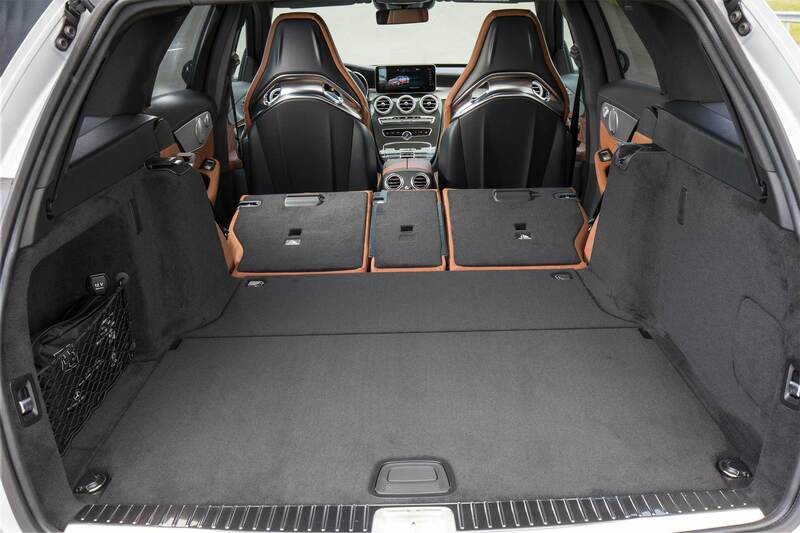 It allows for 9 levels of slip where the last level is for maximum slip on the rear axle. 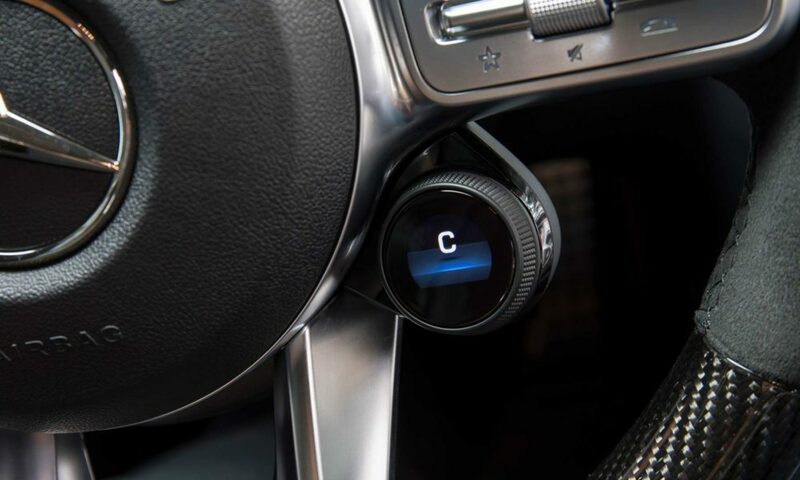 To start with, the driver must switch off the ESP using the separate button in the centre console. 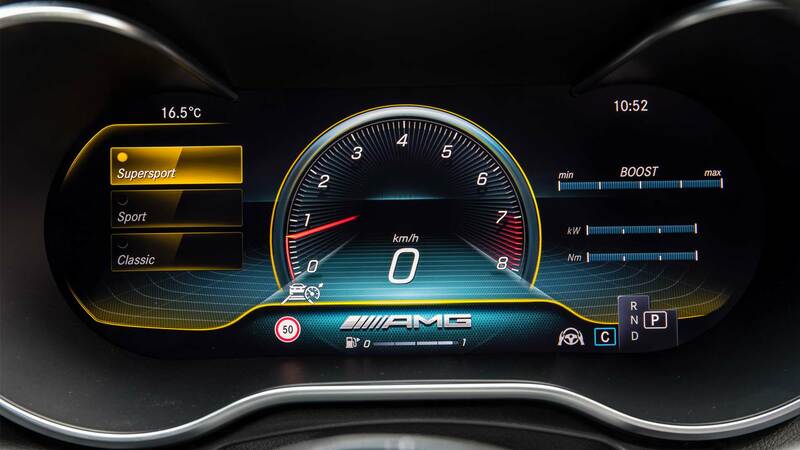 The 12.3-inch fully digital instrument cluster is an option. 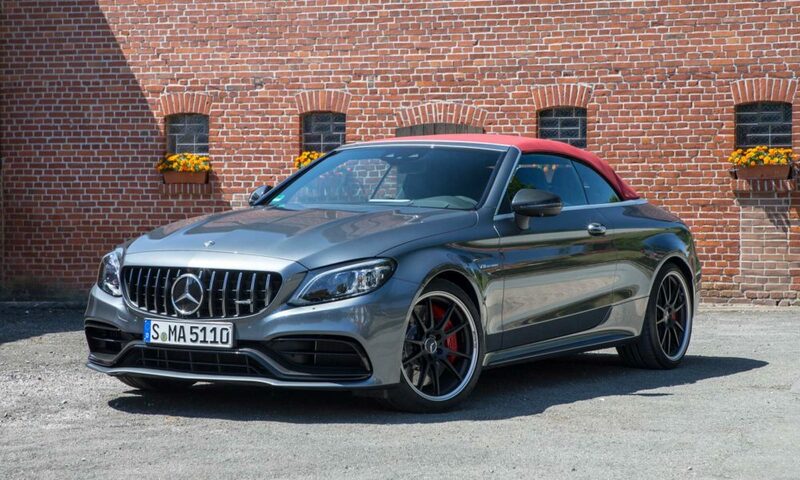 It features three AMG-specific display styles – Classic, Sporty and Supersport. 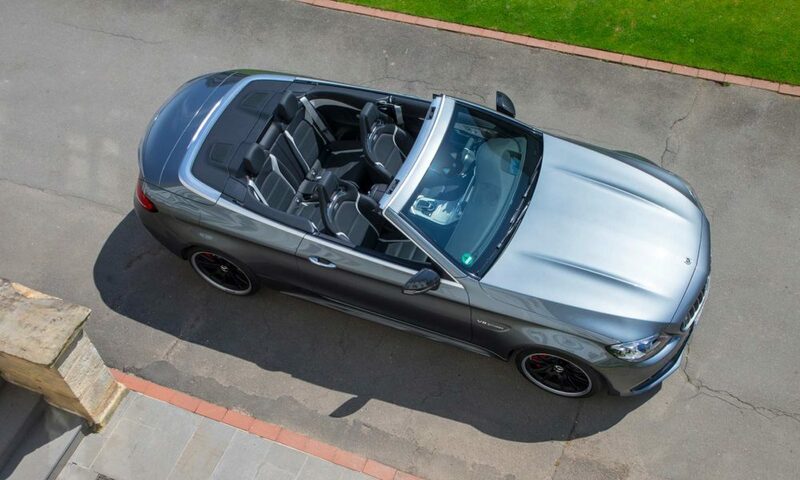 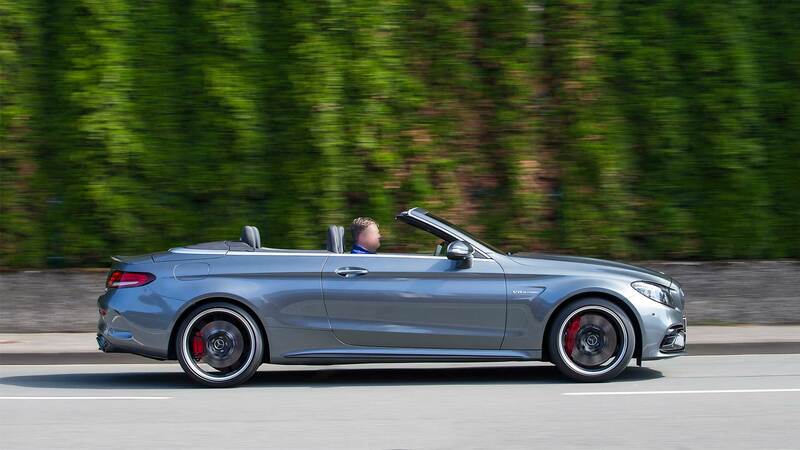 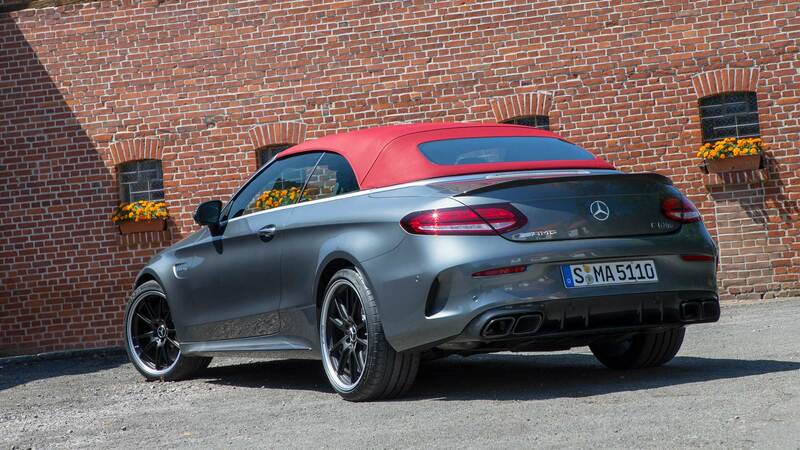 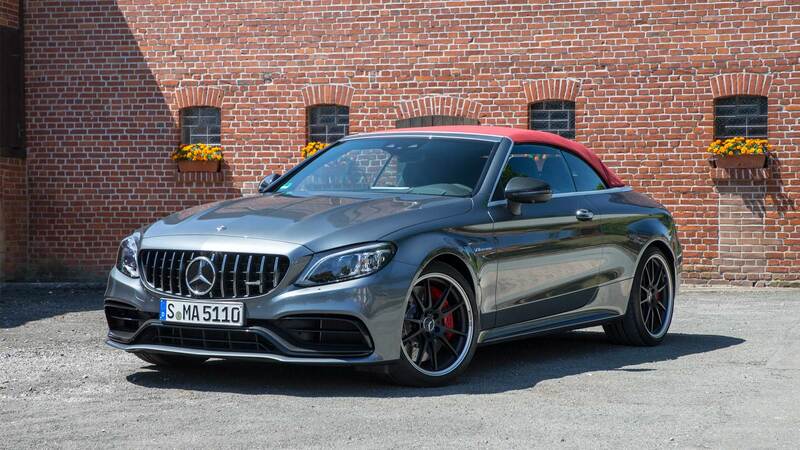 Other options include AMG Performance seats, adjustable side bolsters, and Airscarf neck-level heating for Cabriolet. 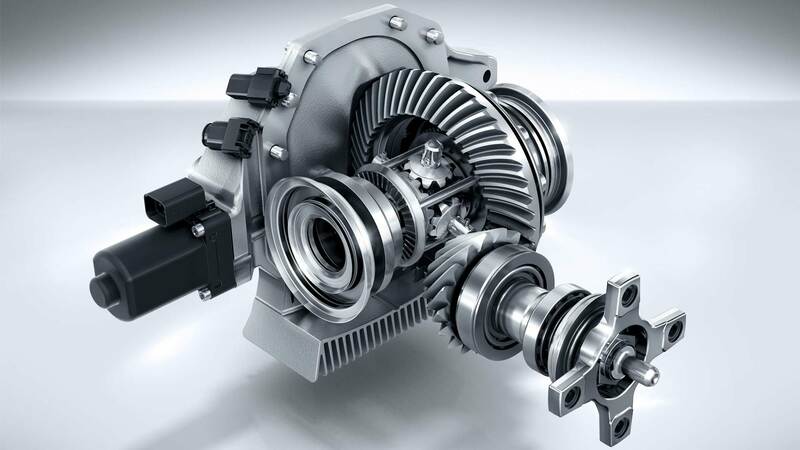 The range gets an electronically controlled rear-axle limited-slip differential which reduces the slip on the inner wheel. 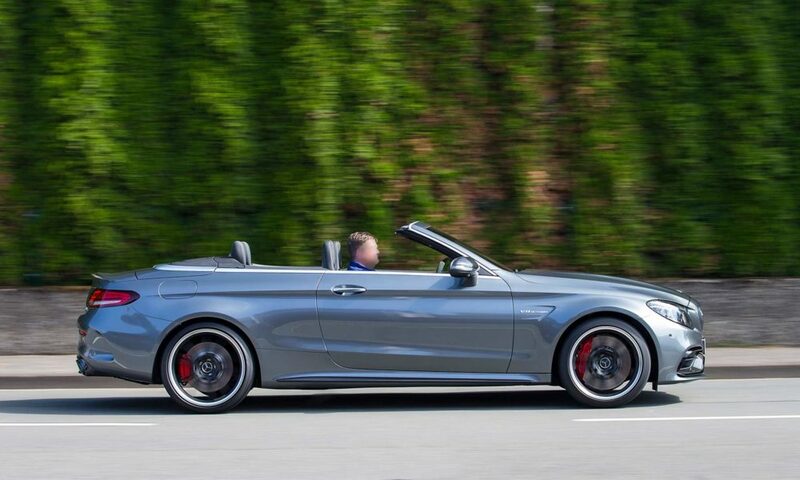 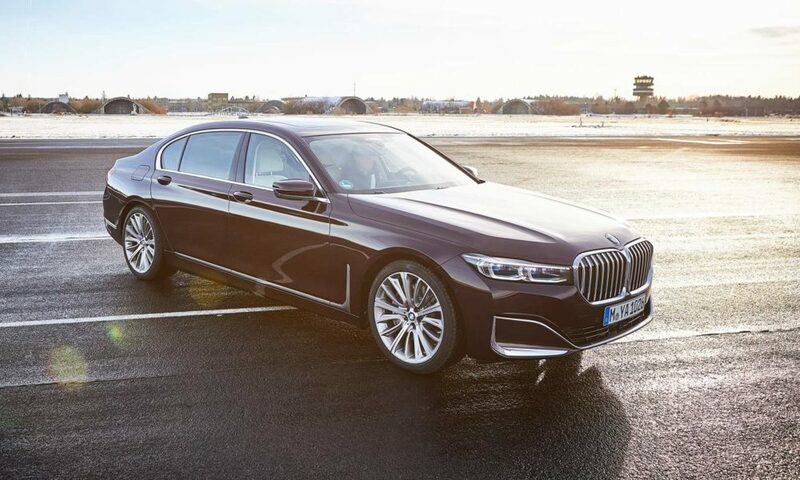 The technology allows the driver to accelerate out of corners earlier, thanks to the improved traction. 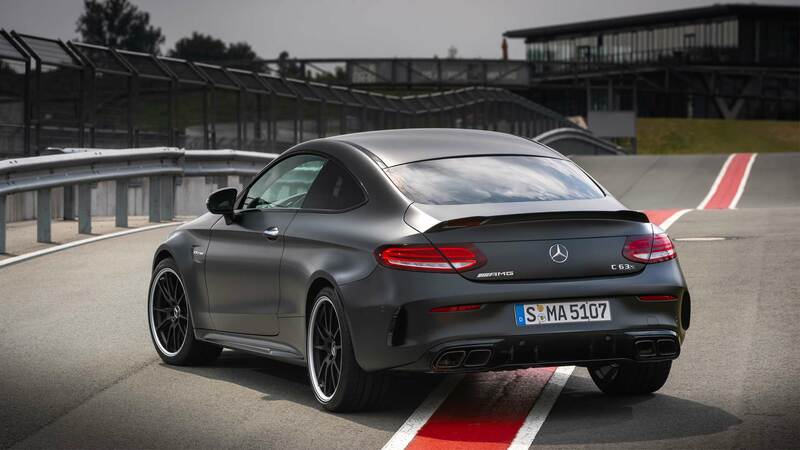 As you might know already, the 4.0-litre (3,982 cc) V8 biturbo powers the 2019 C 63 range. 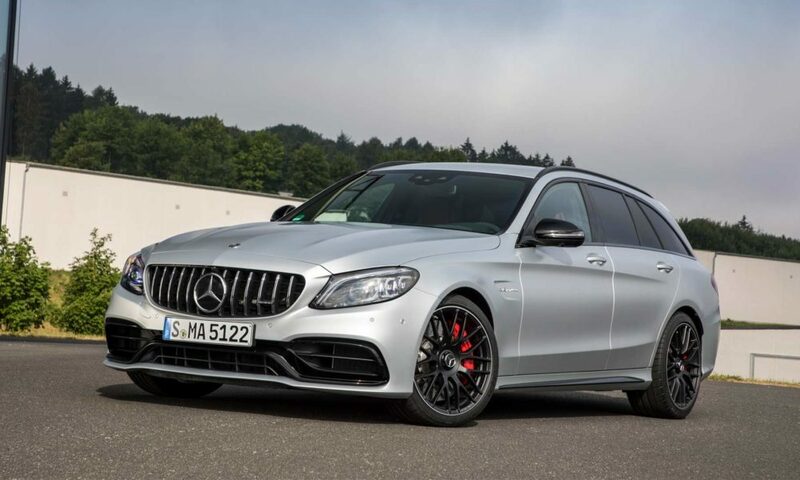 In the ‘S’ variants, the engine delivers 510 hp at 5500-6250 rpm and 700 Nm of torque at 2000-4500 rpm. 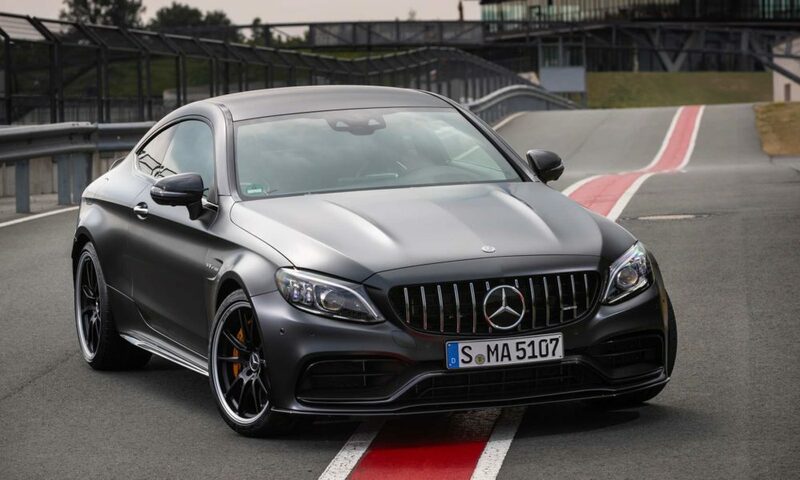 If there’s no ‘S’ suffix, the engine is tuned to deliver 476 hp at 5500-6250 and 650 Nm of torque at 1750-4500 rpm. 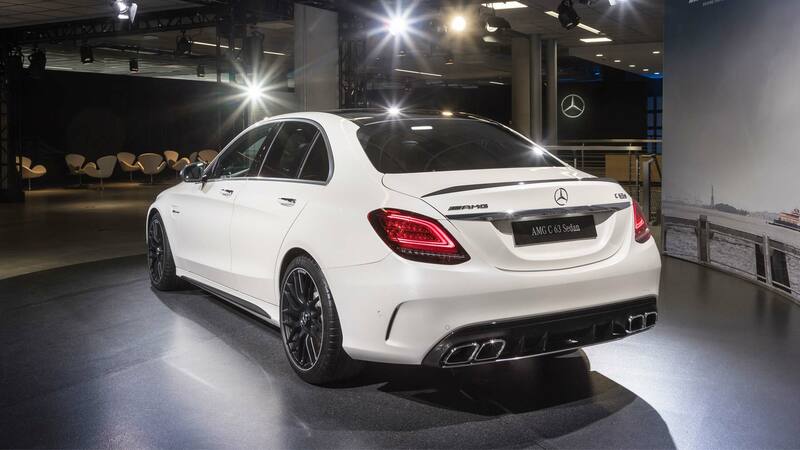 The C 63 S Sedan and Coupe’s top speed is limited to 290 km/h, while the C 63 S Estate and C 63 S Cabriolet are limited to 280 km/h. 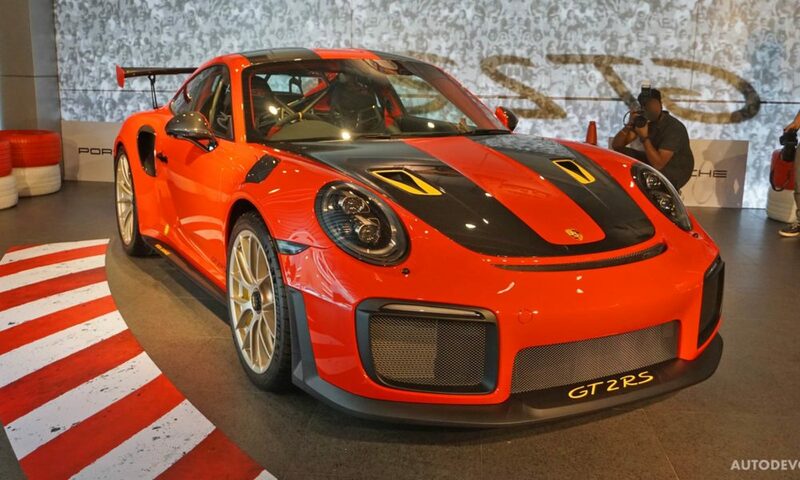 Rest of the range have to settle for 250 km/h. 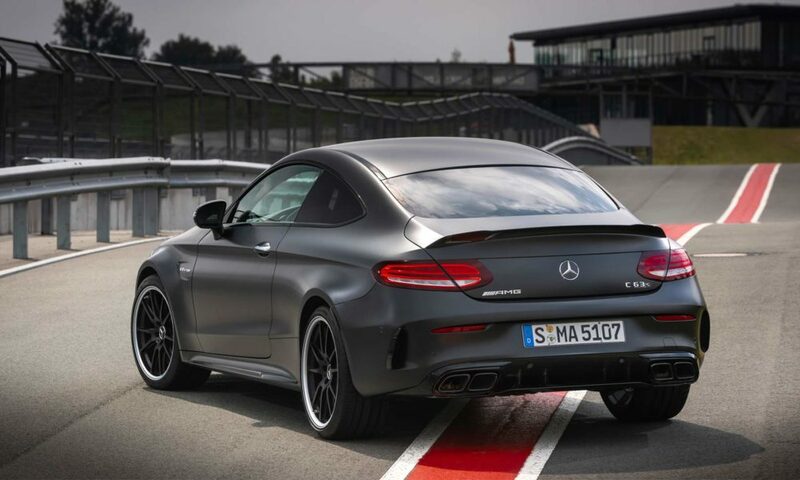 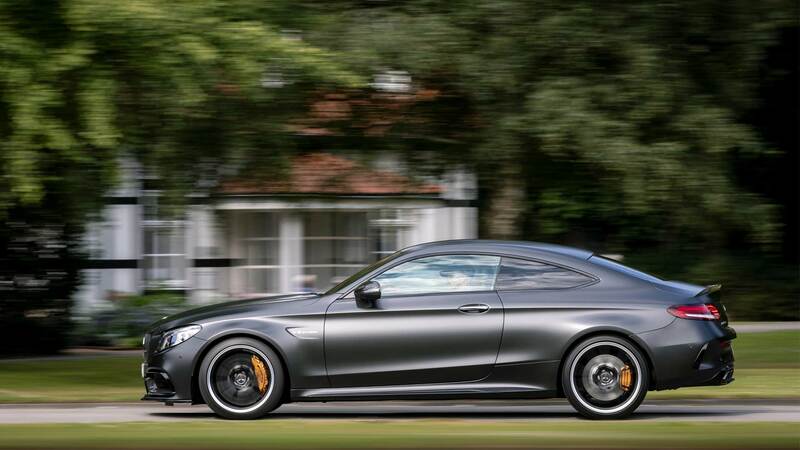 The C 63 S Coupe can sprint from 0-100 km/h in 3.9 seconds. 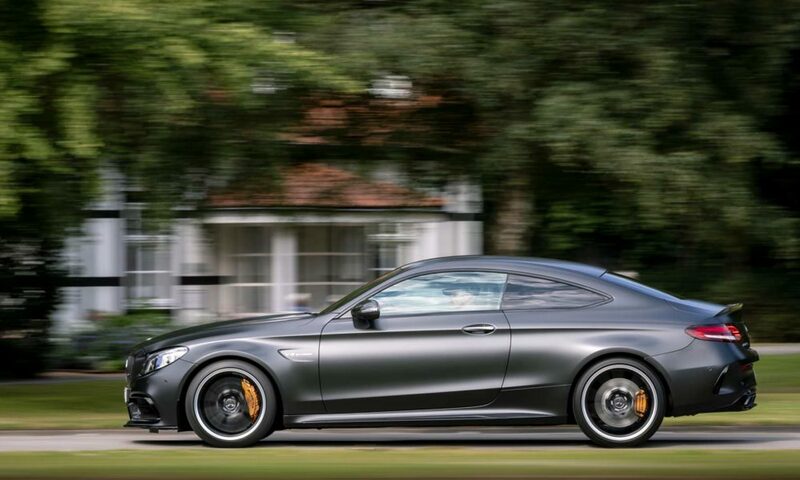 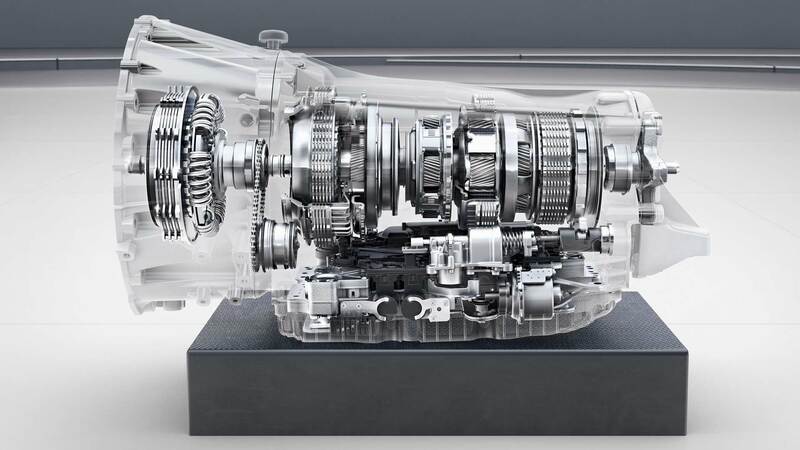 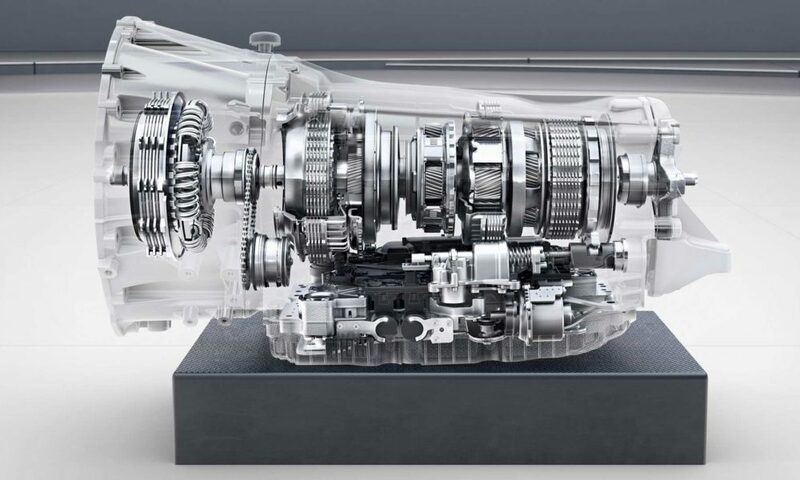 Delivering all that power to the rear wheels is an AMG Speedshift 9G MCT. 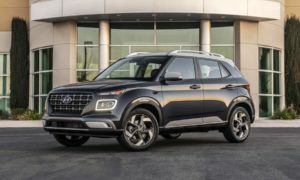 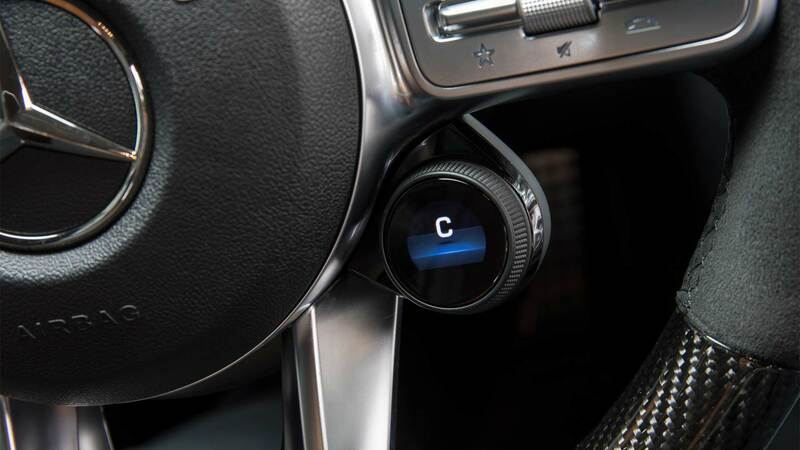 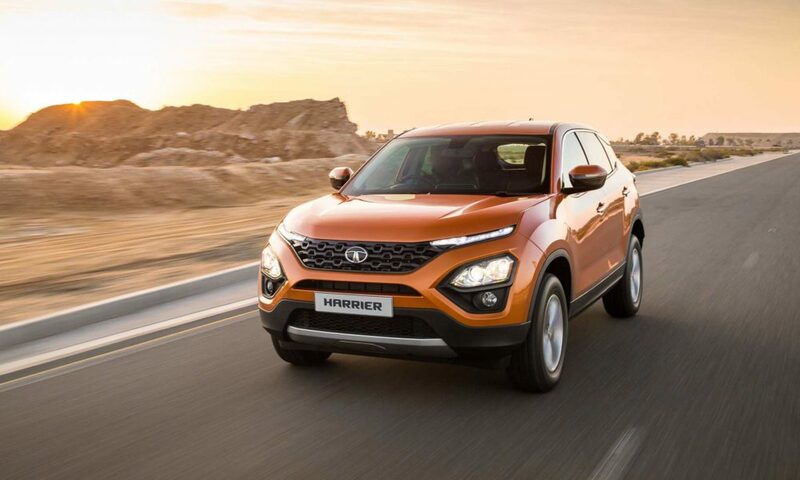 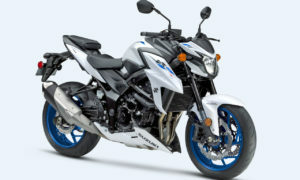 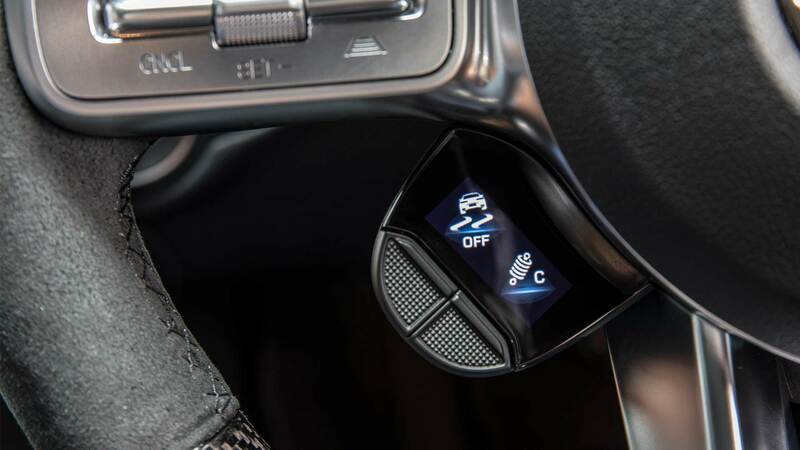 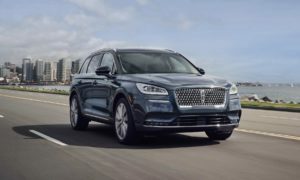 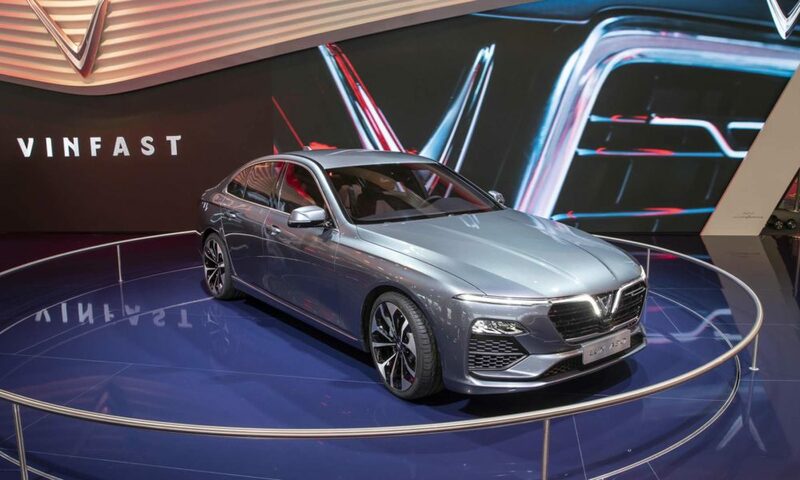 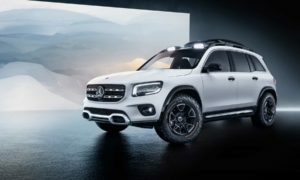 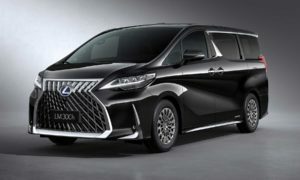 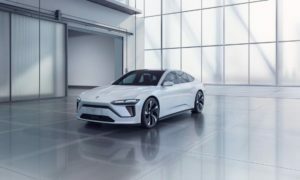 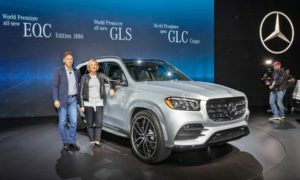 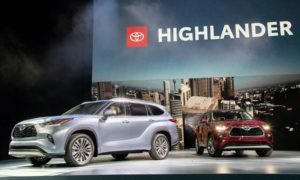 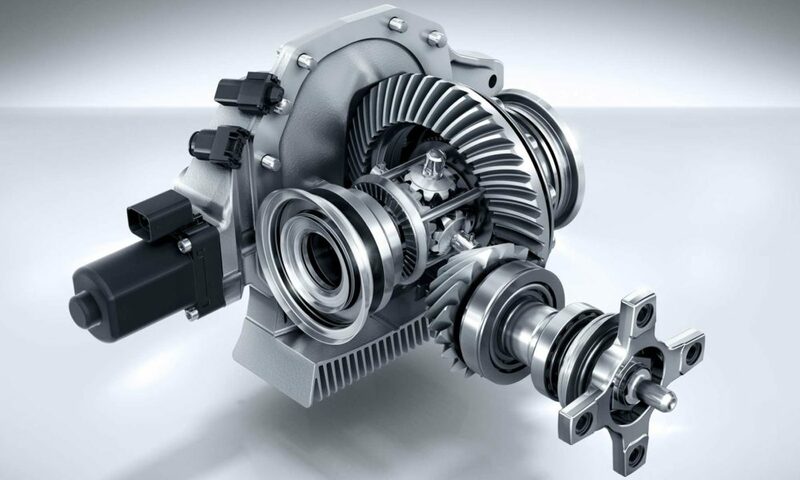 It features wet start-off clutch replacing the torque converter, which according to the company, saves weight and optimizes the response to driver’s accelerator pedal input (read shorter shift times). 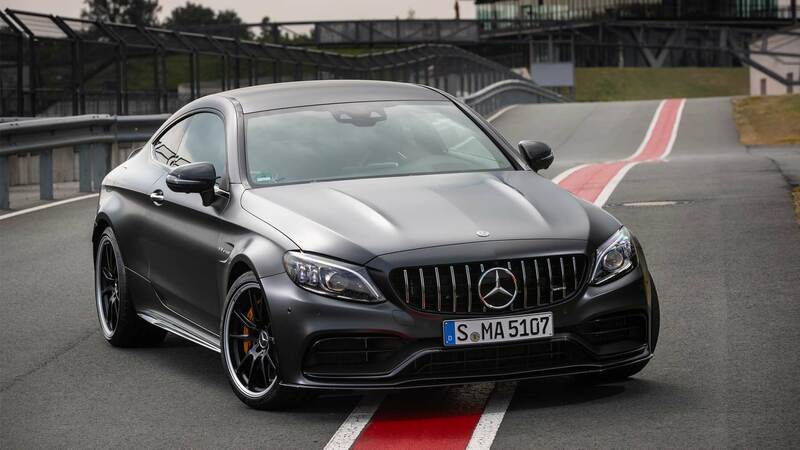 The AMG Dynamic Select has 6 programs – Slippery, Comfort, Sport, Sport+, RACE (C 63 S) and Individual. 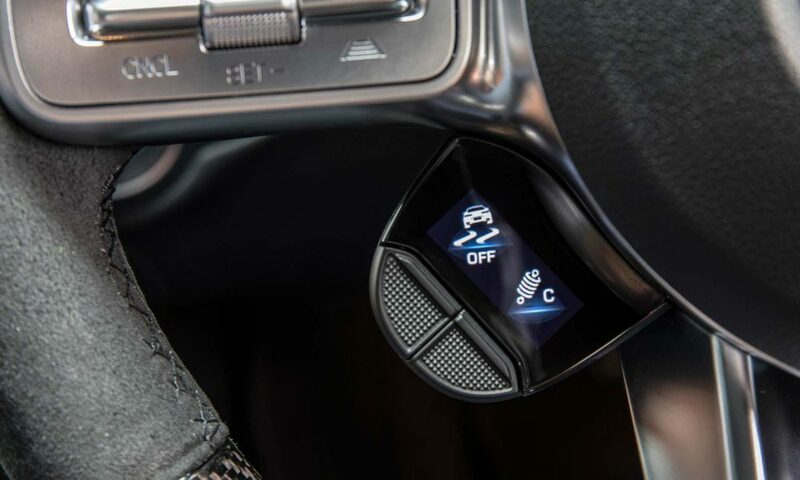 These affect important parameters such as engine and transmission response, steering characteristics, suspension damping, and exhaust sound. 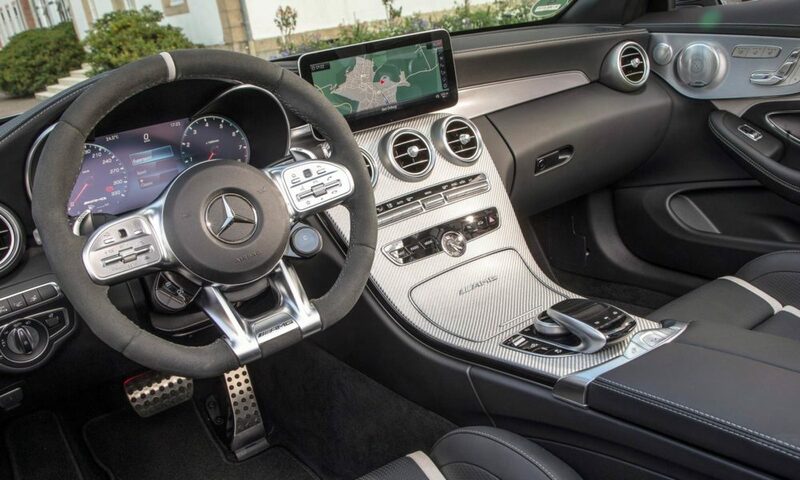 The cars feature AMG Ride Control electronically controlled damping system. 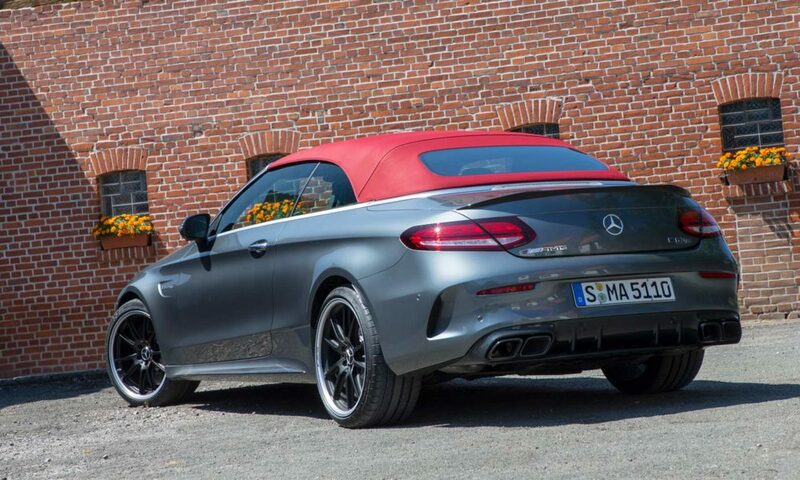 AMG exhaust system with variable flap is standard.